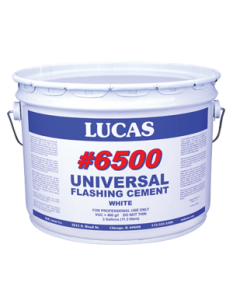 Universal all-weather terpolymer based flashing cement. Extremely strong and elastic. Use to repair asphalt, mod-bit, TPO, EPDM, Hypalon, metal, concrete and most other roof systems. Adheres to wet and underwater surfaces. Available in white and black.